The official and legally required handbook for every boat owner. 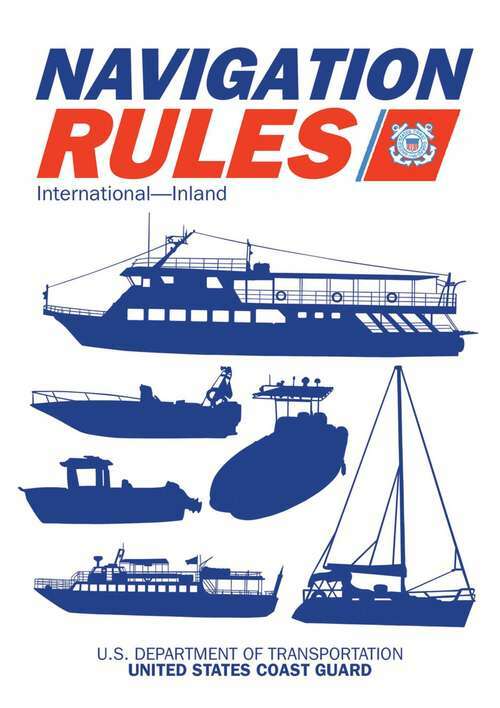 Navigation Rules and Regulations fulfills the legal requirement to have a copy of these guidelines on your vessel at all times. Newly updated to accommodate the most recent changes to marine law and standard operating procedure, this handbook provides the Coast Guard's official rules for operating your boat in international and domestic waters. It will serve as a complete reference for: Steering and sailing in all levels of visibility, including how to avoiding collisions Conduct when another boat is in sight, including navigating in head-on and crossing situations Requirements for flags, shapes, and lights, and how to identify other vessels Sending and receiving sound and light signals from other ships, such as distress signals The Inland General Rules included in this handbook require that "the operator of each self-propelled vessel 12 meters or more in length shall carry, on board and maintain for ready reference, a copy of these Rules." Operate your vessel safely and legally with the latest Navigation Rules and Regulations Handbook.